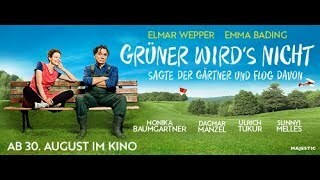 Georg "Schorsch" Kempter is a gardener in a small bavarian town, working day-in, day-out in his nursery, which is facing bankruptcy. He doesn't like to talk much. He never has. His marriage has long lost all its magic and on top of that, he has trouble to connect with his daughter. Only when he is flying in his own rickety biplane, Schorsch feels truly free. When the owner of the local golf course tries tocheat Schorsch for his money, claiming the shade of green of the grass Schorsch has planted on the golf course is not right, insolvency seems unavoidable. So just when his airplane is about to be impounded, Schorsch grabs the control stick and flies away in an attempt to save his plane and himself. He embarks onto a journey into the unknown, to places he has never seen before, full of odd and special encounters - and with every take-off and every landing, this tough man's heart slowly warms up to what you might call an idea of hapiness.